At its location Venneperweg in Burgerveen, Looije Tomatoes has realized a unique project for the production of honey tomatoes. 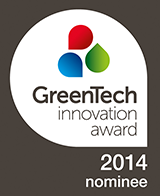 VB Group, Priva, Havecon and Metazet/FormFlex has implemented this project in close cooperation. Thanks to this cooperation the practical experience of these companies has been combined and this resulted into a new innovative and technologically advanced system called ' ActivAir . With this project there was an intensive focus on the realization of the climate system for the 10 Ha. which was realised in 2013. This system again signifies a great progress in the goal of ‘The New Cultivation’ (Het Nieuwe Telen- HNT). 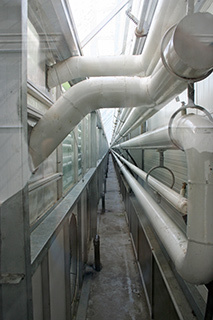 In the Dutch vegetable culture some projects are already known, in which ventilation of the greenhouse does not happen naturally through the vents in the roof of the greenhouse, but where outside air is introduced with fans in a mechanical way. 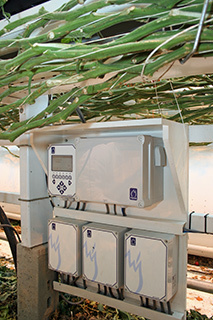 With these systems, ventilation of the greenhouse can be better managed and advantages for cultivation and use of energy can be realised. Also it is possible with this system to keep the greenhouse continuously at an adjustable pressure, so the chance on diseases from outside can remain limited. The ventilation with these systems is done via fans and perforated pipes under the gutters. The project that has been realised at Looije Tomatoes distinguishes itself to other systems by having the outside air intake provided with separately controllable heating elements, which ensure that the outside air is heated before it comes into contact with possible air recirculation.